Universal design (“UD”) of buildings, products, and technologies is not one of the most recognized subjects today. However, when you come to the realization that UD is the most revolutionary element of design presently that affects us all, you may start to pay attention. Of course, there is no “one size fits all” or even “one size fits one” when it comes to people living in the world. All of us have different abilities and limitations, and we all move through the world with different levels of comprehension, emotion and backgrounds that allow a uniquely human interpretation of the world around us. Understanding that this diversity is a natural element of the human experience helps us to realize the coming importance of UD. Universal design is a way of designing physical and virtual spaces, and products and services, to address the inherent diversity of people. It introduces flexibility, choice and accommodating features to the world that we inhabit. Ron Mace, who was the founder of the Center for Universal Design, envisioned UD as a basis for a more welcoming and usable world for all. Mace first defined UD as an approach to design that allows for individual participation regardless of background. UD, when implemented well, therefore, provides the benefits of an accessible world to all people; for example, people with and without disabilities. One classic example of UD is the common curb cut. Initially installed to help people who use wheelchairs or other mobility devices to effectively and equally navigate from street to sidewalk, these unobtrusive bits of public design turn out to be as useful for parents with strollers and travelers lugging wheeled suitcases. Isn’t it amazing to think how much easier this simple design approach, and so many others like it, have made in the lives of everyone! WHY SHOULD WE All CARE ABOUT UNIVERSAL DESIGN? Universal design increases usability, safety and health of environments, products and systems. With attention focused on the changing demographics, differences in functional ability and preferences are a growing part of the everyday life experience globally. Additionally, that there are measurable economic and social benefits for everyone when universal design is considered–women and men, elders and children, people with disabilities and those without, people using different languages and from different cultures. Practicing UD broadens markets and increases consumer satisfaction because it addresses differences and preferences of all types. I have written about such benefits in my recent book called eQuality, published by Cambridge University Press in 2014. 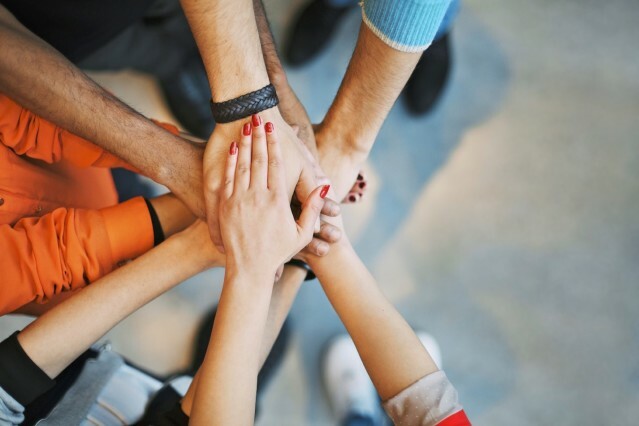 With support from the public and private sectors, the Global Universal Design Commission, Inc. (GUDC)is a not-for-profit corporation established to increase understanding and use of UD to change the world in which we live. The GUDC mission is to accelerate adoption of UD concepts. It is helping design for a range of human performance and preferences to move beyond focus on mere compliance with laws towards a vision of good design that provides ease of use and access without disadvantage to any group or individuals. 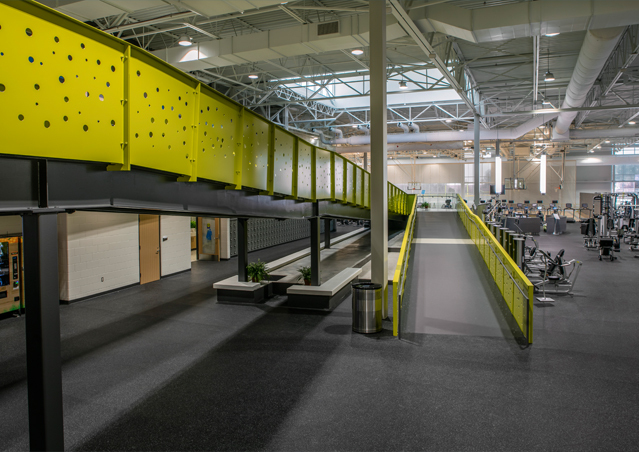 Recently, in December 2015, The Mary Free Bed YMCA in Grand Rapids, Michigan, became the first building in the world to receive the Global Universal Design Certification from the GUDC. The GUDC created UD guidelines for buildings and spaces, which are based on a decade of extensive research and are expected to be the new standard for universal design in architecture and construction. 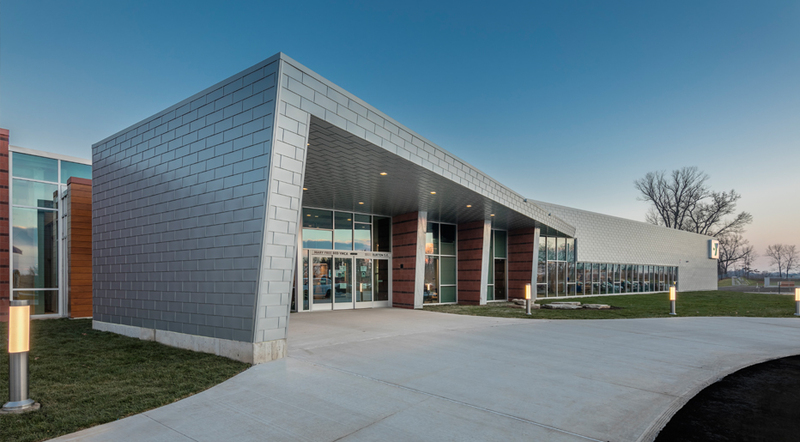 The Mary Free Bed YMCA in Grand Rapids, Michigan was the first building in the world to be certified by the Global Universal Design Commission. The new YMCA includes accessible parking for bicycles, scooters and hand cycles, wider walking paths, and hard surface viewing areas for wheelchairs of outdoor fields. It has oversized elevator cars with horizontal call buttons with braille and a bold-colored feature ramp for primary vertical circulation. Among other UD features are color schemes and lighting to provide cues to people with all types of visual ability and a wayfinding system is designed to be consistently recognized by multiple age groups and cultures. There are locker rooms with ergonomic design extending to equipment and fixtures, zero entry roll-in showers and pull-down benches, and a wheelchair softball field. 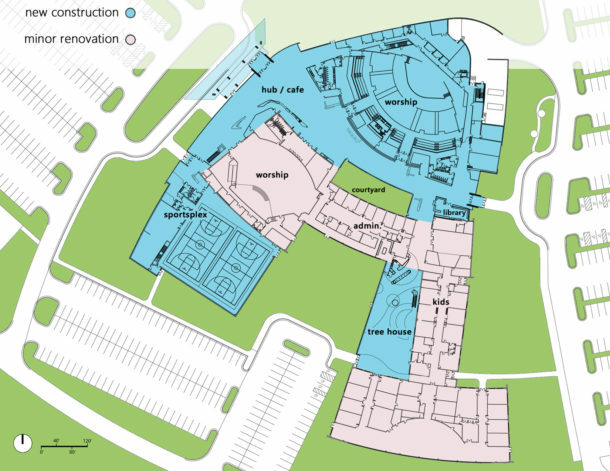 There is not a single step throughout the 120,000 square feet Mary Free Bed YMCA on its thirty-six acre campus! 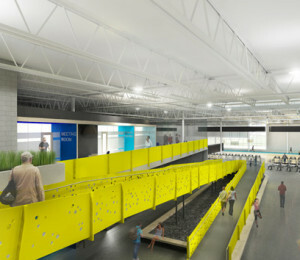 The yellow ramp in the Mary Free Bed YMCA helps with wayfinding and is the primary form of vertical circulation. 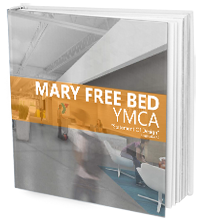 See more photos of the Mary Free Bed YMCA. UD is changing our world, as sustainable “green” design is changing business practices, culture, and everyday experience. Ten years ago, sustainable design was more theory than practice. Today, governments, developers and corporations emphasize sustainability to respond to changing public expectations and economic conditions. The adoption is UD is expected to follow a similar course. Never before in modern history have the civil and human rights of all people—those with disabilities, older adults, and children—aligned so well with fast-moving developments in inclusive UD. 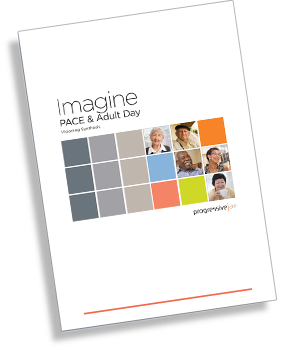 These developments are opening up unprecedented opportunities for participation in society for all persons. We need you to become involved and help us promote the understanding and use of UD in the design and development of buildings, products and environments to be useable by all people, to the greatest extent possible, without the need for adaptation, retrofitting or specialized design. This makes good social and business sense. The GUDC’s voluntary consensus UD standards for commercial buildings are now helping corporations and government entities in the creation of barrier-free facilities, and providing diverse users with access to commerce, public services, entertainment and employment opportunities. At its best, UD facilitates equal participation in society by all. However, the objectives of UD will not be achieved by government mandates, standards promulgation and commercial successes alone. Rather, fundamental advancement in inclusive UD derives from changing attitudes and expectations about equal participation by all in society. The question we must ask is not what the world would be like without UD, but why we would choose to live in a world without it? Dr. Blanck is University Professor at Syracuse University, which is the highest faculty rank granted at the University. 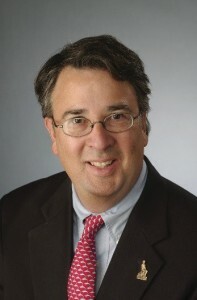 He is Chairman of the Burton Blatt Institute (BBI) at Syracuse University. Blanck received a Juris Doctorate from Stanford University and a Ph.D. in Social Psychology from Harvard University. Blanck is Chairman of the Global Universal Design Commission (GUDC) and President of Raising the Floor (RtF) USA. He is a former member of the President’s Committee on Employment of People with Disabilities. Universal Design in central to all our design activities. Most people don’t appreciate the UD in the places they visit in public facilities, but the trend is moving in the right direction. It looks and functions better when it’s done right, and that’s a win for everyone!